Key Difference: MAPI stands for Messaging Application Programming Interface. POP3 stands for Post Office Protocol Third and IMAP4 stands for Internet Messaging Access Protocol. IMAP4 keeps the messages on a server. One needs to be connected to that server to retrieve them. POP3 is also a standard protocol but unlike IMAP4, it downloads the emails into the local computer. 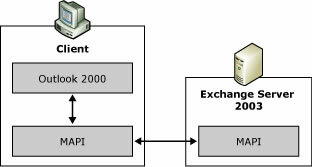 MAPI is a proprietary technology from Microsoft which uses RPC-based communication to communicate with a MAPI-based mail server like Exchange. IMAP4 is advance than POP3. An MAPI account provides almost the same functionality of a IMAP account, but it also have a live connection to the server. MAPI stands for Messaging Application Programming Interface. It is a messaging system that is used by Microsoft Outlook and Exchange for email, contacts, appointments, tasks, sticky notes, etc. It is based on a proprietary technology from Microsoft which uses RPC-based communication to communicate with a MAPI-based mail server like Exchange. Address book – a database which contains addressing information. Transport – assists in interaction between different devices. Message store – stores messages that consists folders and sub-folders. POP3 stands for Post Office Protocol version 3. 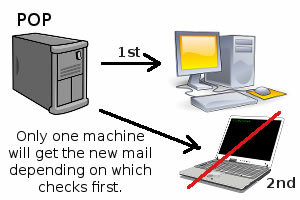 It is a standard mail protocol which is used to receive emails from a remote server to a local email client. Then the emails are removed from the server. Thus, emails remain available when one is not connected to the internet. These mail servers are bit simpler than IMAP mail servers. It is often preferred for being a simple and well-supported protocol. It is also extremely common due to a high rate of success. Typically, port number 110 is used by most of the email applications. POP Version 3 published as RFC 1725. 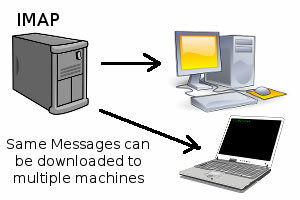 IMAP4 (Internet Messaging Access Protocol) is a standard protocol that is used to access email from a local server. The latest version of IMAP4 is a client/server protocol. Emails are received and stored by the internet server. It provides the flexibility to create and manipulate folders or mailboxes on the server. However, one needs to be in continual touch with the serve in order to work with the mails. The Internet Message Access Protocol (IMAP) is a less common but more richly featured email protocol than in comparison to POP3. POP3 and IMAP$ are standard protocols to read mails from a remote server. On the other hand, (MAPI) is a Microsoft Windows specific email interface. All three have their own sets of advantages and disadvantages. It is a proprietary email protocol developed by Microsoft for Windows based messaging applications. POP3 is a standard mail protocol which is used to receive emails from a remote server to a local email client. Email remains available when you are offline. It is a protocol which is advance than POP3. It provides features like multiple folders, mail uploading and flag control. It also provides the ability to synchronize between multiple mail clients. Copy of the messages is saved in your 'Sent' folder. Can manipulate persistent message status flags. Can store messages as well as fetch them. Can access and manage multiple mailboxes. Can support concurrent updates and access to shared mailboxes. Does not provide a reliable syncing of the devices. Space is limited by the user’s hard drive. It is a complicated protocol and thus setup must be carefully laid. Limit of storage space on the server.